After residents protested adding overhead lines as part of a project to update the aging electrical system, the City Council removed it from the 2017-2018 fiscal year budget to research other options at its budget workshop Tuesday morning. Celia Shortt Goodyear/Boulder City Review At the budget workshop Tuesday morning, Mayor Rod Woodbury suggested tabling the 69kV transmission loop project while the city researches other options for upgrades to the a city's aging electrical system. Funds designated for the 69kV transmission loop will be moved the city’s long-term reserves and increase them by approximately $1.97 million. The proposed 2017-2018 fiscal year budget is $71 million and includes $30.5 million in the general fund, $2.4 million for general fund capital projects, $31.9 million in the utility fund, and $9.9 million for utility funds capital projects. The tentative general fund budget also incorporates an additional $844,887 in revenues from building permits and consolidated tax revenues, as well as $216,000 for professional consulting services in the utility fund. The general fund portion is about 7 percent lower than the 2016 fiscal year budget of approximately $32.9 million. Boulder City Mayor Rod Woodbury made the motion to remove the utility upgrade project from this year’s budget and said other options for the 69kV loop are being explored, including moving the lines, using underground lines, and working with NV Energy to utilize its power lines in the area. Woodbury estimated that it will take about six months to set up anything with NV Energy. He also suggested moving forward with another project: mapping Boulder City’s utility system. The city’s 20 percent goal equals approximately $6.74 million. Long-term capital reserves for the utility fund are designated for infrastructure projects, especially those dealing with the aging electrical system. They can also be used for catastrophic events, like a substation failure. Councilman Duncan McCoy agreed with putting the project on hold and putting the money into the long-term reserves. “I’ve been concerned for a long time what the city would do in case of a catastrophic failure in any of our utilities,” he said. He added that most communities raise money quickly if that happens by floating some short-term debt and back that up with revenue bonds that are pledged against rate increases, but Boulder City can’t do that because its debt limit initiative. 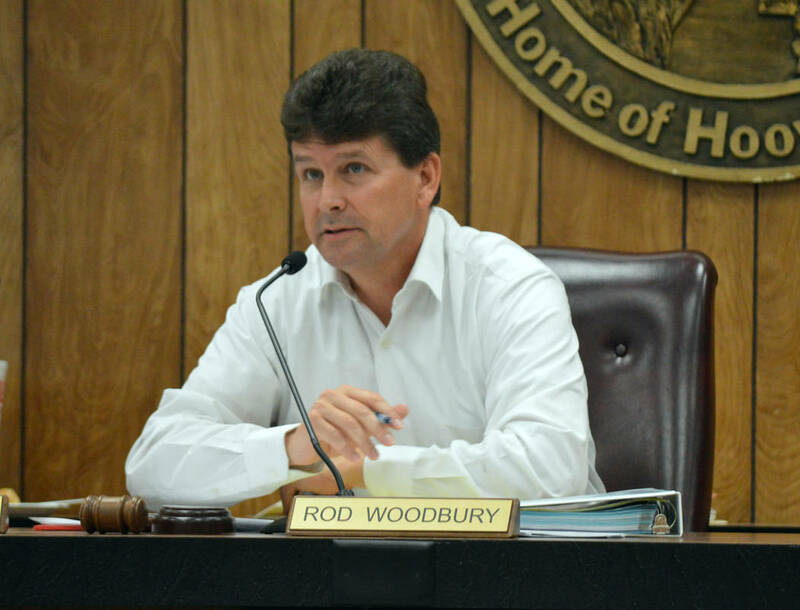 “Two million won’t handle every catastrophic event … but at least it’s baby steps in the right direction,” Woodbury added. The 69kV transmission loop project will add a second power line and increase electrical service reliability. Currently, the proposed route will connect Substation 3 near Adams Boulevard and River Mountain Avenue with Substation 6. The power line will be all overhead steel electric poles, which will be approximately 300 feet apart and range from 60-80 feet high. Since being announced, residents have raised concerns about how the overhead lines would affect their views of Lake Mead and property values in the area. The final 2017-2018 fiscal year budget is expected to be presented and approved at the council’s meeting on May 23.